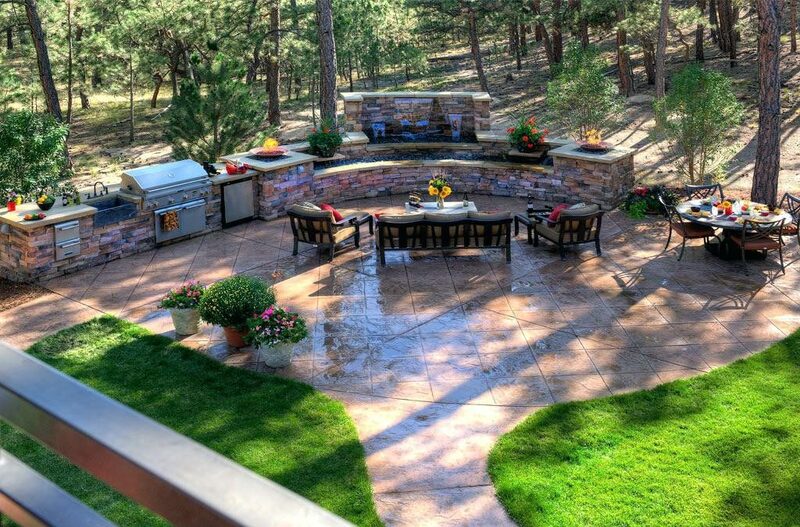 We build some amazing outdoor living areas for our customers. They are usually very excited about the new plants, a larger deck, fire pit and maybe a waterfall. 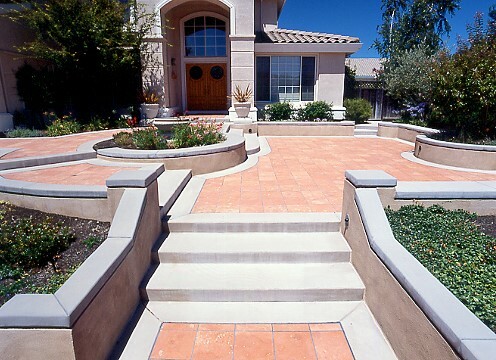 But often when they think about the pathways or patio areas that will tie all of these features together, they don’t realize what amazing options concrete offers. Concrete technology is taking giant strides and can really enhance the entire atmosphere with new looks plus endless color options. There are limitless stamped concrete patterns that allow homeowners to pick a surface style that accentuates the surrounding environment. From intense color borders to full art inlays, concrete as a hardscape medium gives your contractor limitless flexibility to make your vision reality. The colors for concrete are more imaginative than ever and can be layered to give a look of true depth to any stamped pattern. Those colors are added directly to the concrete during mixing to give a solid base color then additional highlight colors are topically applied after to create natural looking intensity and character. A final semi-gloss clear coat will not only protect the original colors from solar fade but also allow your colors to appear crisp and vibrant. When using concrete for pathways some people prefer symmetry by using straight lines and following the angles of existing structures. I personally like a more organic style, curves and bends and steps as if floating through your back yard. If you’re up on a ridge looking down on a river, it does not meander through a valley separating fields from the forest. It glides through all the landscape and that is what makes it so interesting and beautiful. So next time you are in your backyard living area, think about the possibilities and if you need ideas reach out to an expert that can show you how to make those ideas reality. I love your tip to add flair to our patio with decorative concrete. You’re right that there are a lot of color options today, and you really illustrate that with the pictures you show. My husband and I are planning ideas for the patio we’re having made, and decorative concrete seems like a versatile material to try out, for sure.